The Global Content Query is one of the first features of the first version of Collabware CLM; however, in the latest release the Global Content Query has been updated and modernized. There are several new features, including a new look, a new configuration interface, and additional options to provide your users with the ability to create their own queries. The new Global Content Query is a powerful search tool, and will enable you to more easily expose your SharePoint content to your users. The purpose of the Global Content Query is to query all Site Collections crawled by SharePoint Search based on pre-defined criteria. This content cannot be actioned upon through the Global Content Query, but users have the ability to either open the item or open the item’s location. Along with this, the new Modern Global Content Query can allow non-administrative users to create their own queries on the fly, allowing them to either narrow down the scope of the query or create an entirely new one. The original Global Content Query was always part of the Collabware CLM Records Center. It is attached on the home page of the Records Center, and it was designed to show users their most recent Records. The screenshot below shows what the original query looked like. As you can see, it is a very simple Query. Let's quickly go through each section to explain what it is doing. First of all, the Search Criteria. There are two different criteria here: first, filter by the Modified User, and narrow it to the current user; second, only display Active Records. Seems pretty simple. Next, the Display Columns. This is what the Global Content Query is supposed to show the user in terms of metadata. Similar to how a Document Libary displays some metadata columns by default, so can the Global Content Query. The original query displayed the Title, Last Modified Time, and the Content Type. Finally, there was a Sort Setting placed on the query, sorting it by Last Modified Time, displaying the most recent at the top of the results list. Here is how that query would be displayed for the user. 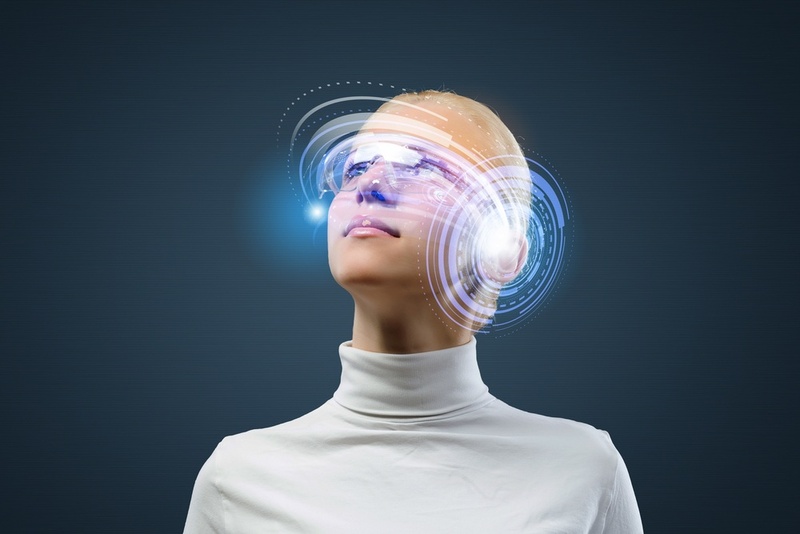 Already you should be realizing that this is an incredibly powerful tool, capable of displaying many different things to many different users. 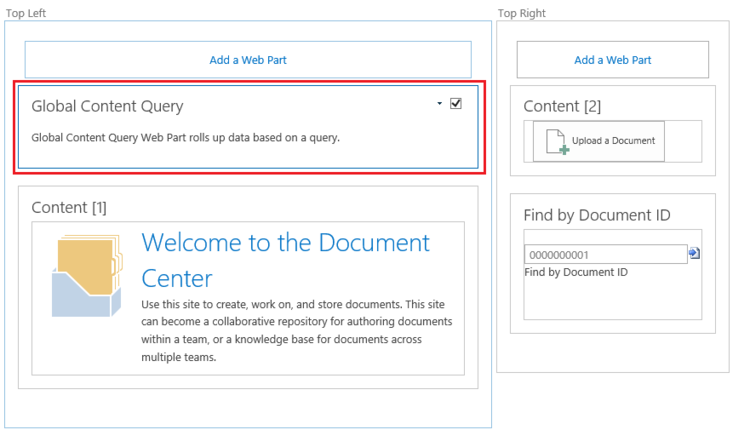 Not only that, but the Global Content Query is a simple Web Part, a SharePoint concept that can simply be dropped onto any page, including Team Sites, Document Centers, Wiki Pages, and many other SharePoint pages. The Global Content Query relies on SharePoint Search, and it can access all Site Collections, allowing you to display content both from your Portal site as well as your Records Center, eliminating the need for users to have to navigate to another location just to find a document. The Global Content Query is not limited by any type of metadata. All metadata columns, including custom columns, can be queried. 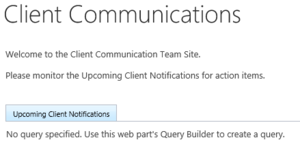 A specific SharePoint Search configuration is required for those columns, and a document outlining how this is done will be linked at the bottom. This means that your organization can build custom Global Content Queries based on your own custom columns and metadata. We will go through a few simple examples in order to show how the Global Content Query can be used most effectively. First of all, let's look at a custom Content Type that has some extra metadata fields. So here we have three key pieces of metadata that are being used to describe this document. The Division is used to define which working group is dealing with this particular document, and is built with a few predefined choices. The Client Name is an open field, which occasionally leads to typos and mistakes by users, but it is still a useful field. Finally, we have the Trigger Date, which is presumably being used by the organization to track when the document becomes obsolete or some other event occurs with the client. This is a very important date to know, and in fact, it is one of the first things that users will look for at the beginning of every week to determine whether or not there is any action necessary with the client. 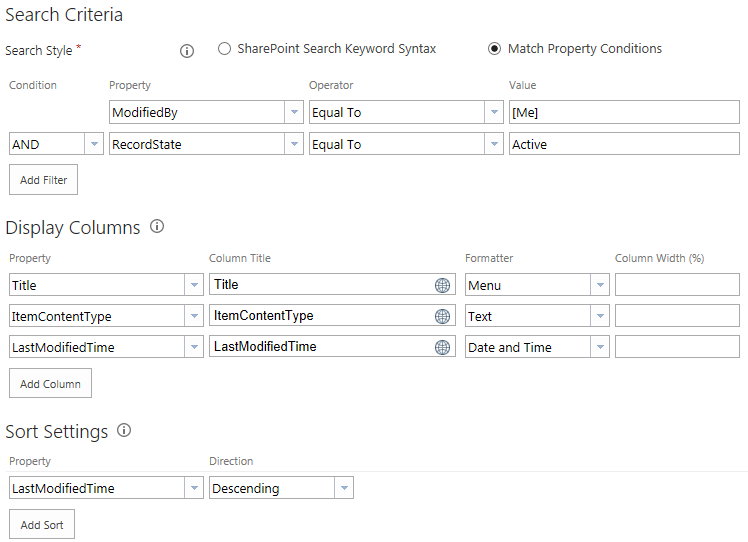 Our SharePoint Administrator has taken the time to configure these custom SharePoint Columns to make them Queryable, and our Team Site owner wants to create a Global Content Query on the front page of the Team Site, so all users will know when items are coming up to their Trigger Date. 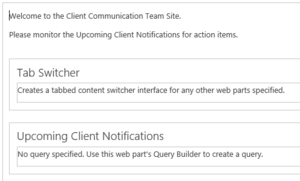 After they drop the Global Content Query Web Part onto the Team Site home page, they do some basic configuration to alter the view to Modern (more on this later! ), and name it in a user-friendly way. Now that we have the Web Part attached to the page in a user friendly way, we need to configure it. There are four steps to configuring an effective Global Content Query. 1. First, we need to find the right combination of Search Criteria to find exactly what we want to display and nothing else. In this case, the Content Type we are looking for is called Administrative Document, so we could easily filter by all Administrative Documents. However, after running a quick test, we've discovered that this brings back too many items. Specifically, we are finding drafts and working documents that are not yet finalized, and they are "muddying the waters", so to speak. We need to add another condition that only will bring us back Active Records; this way we can be sure that our query results are only the most relevant to our users. However, we also know that sometimes users will accidentally forget to declare an item a Record (and your organization does not leverage the many automated declaration options), so we once again need to adjust our criteria to include those items that were potentially missed with our original criteria. Now, in this situation, we do not want to add another "And" style condition; we've already captured all Active Records, which should be the vast majority. We are looking for those items that are not yet Active Records, but still have a vital piece of metadata that we need to see: the Trigger Date. As I explained before, the purpose of this Global Content Query is to enable users to stay informed on upcoming Trigger Dates for this Record Type. We need to do a little bit extra explanation for this last Search Criteria, because it is a little obscure. This one line has two purposes: first and most obvious, it will show us only the more relevant dates that are close to where we are in time; second, less obvious but more helpful, is that it will filter out all Administrative Documents that do not have a Trigger Date populated. If that field is empty, it will be considered as "less than" our 1/1/2010 criteria. As for the "Or" condition, the way it works is that it only addresses the previous "And" condition. The "Or" will look up the list, as many times as it needs to, until it gets to an "And" above it, and it will say "Either the <And Condition> OR <This Condition>". Translated for our Query, this means "Either it is an Active Record OR it's Trigger Date is Greater Than Jan 1st, 2010". If either of these conditions is fulfilled, the item will be returned in the Query Results. 2. Now that we have our Search Criteria worked out and we are sure that we are capturing all the Content that we want our users to see, next we have to configure how we want to present that data to them. First of all, we need to add all of the Display Columns we want them to see. 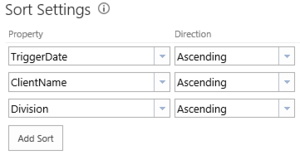 Display Columns are the same as the Metadata Columns you show in a document library, although you can configure them to be displayed in a few different ways here. A good rule of thumb for display columns is if it is one of your Search Criteria, you want to show it. Likewise, if you are using it to Sort, you also want to show it. Finally, a little bit of common sense and user interviews goes a long way here. 3. The third setup stage is to sort all of the results. We already discussed the most important piece of information the user needs to know: the Trigger Date. The most important column should always be the first you sort by, but don't stop there. Sorting by multiple columns can help give the results a more clean look, enabling your users to draw lots of information from a quick glance. This Query is going to sort by Trigger, Client, and finally, the Division. 4. There is one final step that can be done with the Global Content Query and how it is displayed to your users. In the Classic View, there is only one setting, which is how many results are displayed to the user. There is a multi-page option and a single-page option, with results per page. Cutting down on the results may be useful depending on what your trying to achieve with the Global Content Query, especially if you have good Sorting in place. It can make the difference between overwhelming your users with results and giving them only the most relevant information. Once everything has been configured, we can take a step back and view our Global Content Query from the perspective of our users. As you can see, everything has sorted nicely, the columns are displaying the way we want them to, and hopefully this will enable our users to get the information that they need. The newest and possibly best feature of the Global Content Query is the Modern View, which comes with the ability to allow basic users to personalized their own Queries. Currently the Modern View is in "beta status", which means it is not yet complete. However, we encourage organizations who upgrade to Collabware CLM 2.8.1 to explore this new feature and provide us feedback. Personalized Queries will provide your users with unprecendented search power. The Global Content Query is superior to basic search in many ways. First of all, the Global Content Query searches all Site Collections crawled by Search, not just the site you are on. Second, the Global Content Query allows users to narrow down their search criteria to the metadata column level, something that is not possible with search. Finally, the ability to sort query results means that your users will be able to query large amounts of data and only find the most relevant to them. Finally, because the Global Content Query uses Search, it is fully security trimmed. This means that if your user does not have permission to see an item, it will not appear in their Query Results. So whether you want to design queries to be used by different working groups or allow your users to build their own queries on the fly, the new Global Content Query is a powerful addition to your Infromation Management tools.